REUZEL Extreme Hold Matte Pomade • May 2018 | VENUS Beauty Supplies Ltd. The strongest pomade yet, providing the strongest hold and a matte finish. 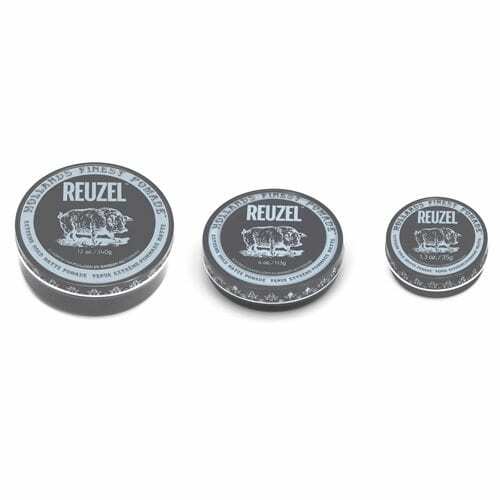 REUZEL™ Extreme Hold Matte Pomade will stand up to anything; allowing you to reshape and rework it throughout the day. Create dry, messy-textured looks, or add volume with extreme fullness and definition. This water based formula washes out easily and won’t leave build up behind. © 2006 — 2011 VENUS Beauty Supplies Ltd.